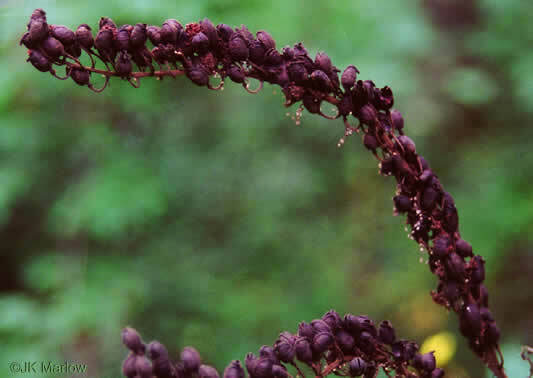 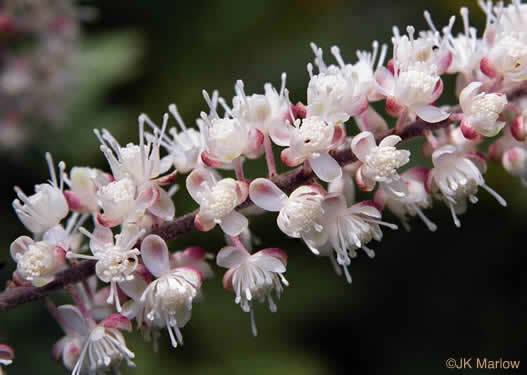 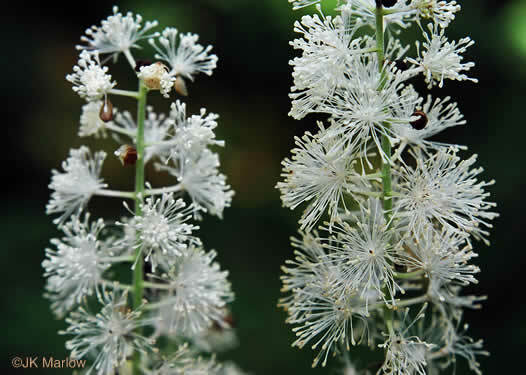 Read about Actaea and Cimicifuga from Alan Weakley and the Southern Appalachian Botanical Society. 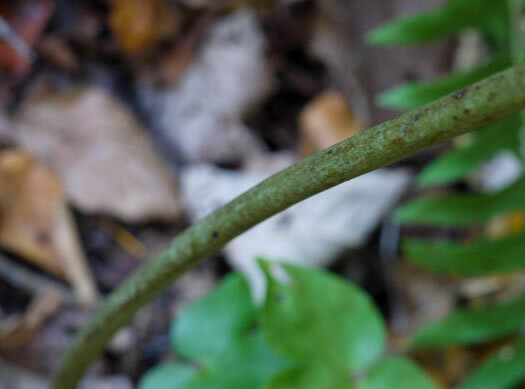 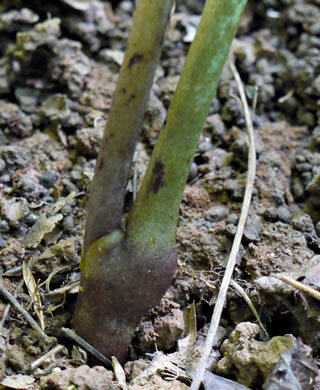 Terminal leaflet with 3 major veins arising from the base, per Weakley's Flora. 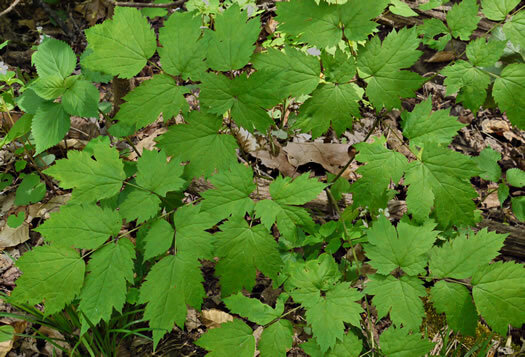 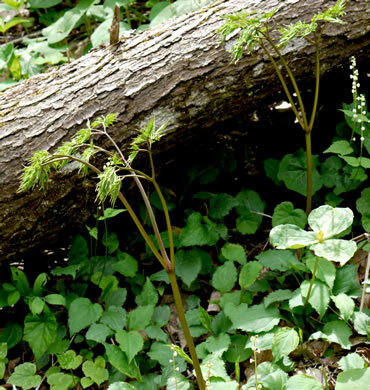 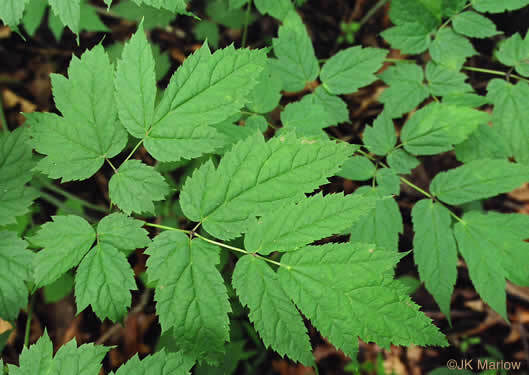 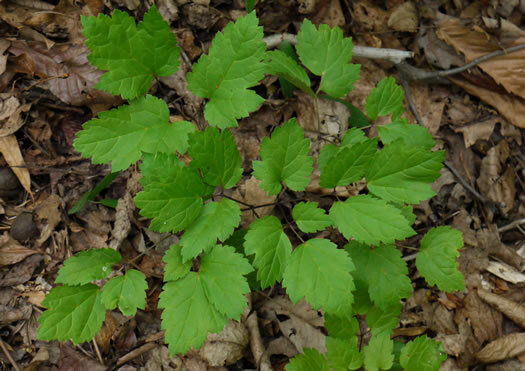 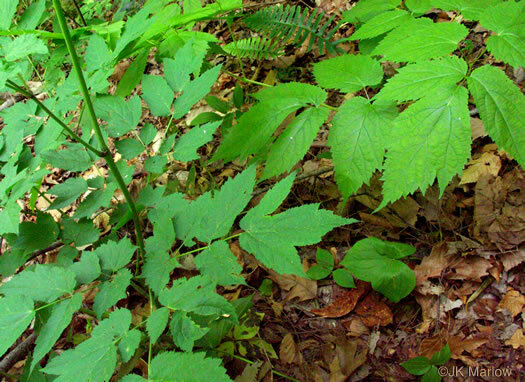 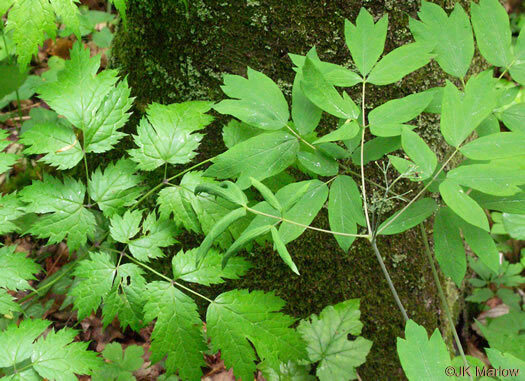 Leaflets broad, coarsely toothed; terminal leaflet generally 3-lobed, per Wildflowers of Tennessee, the Ohio Valley, and the Southern Appalachians. 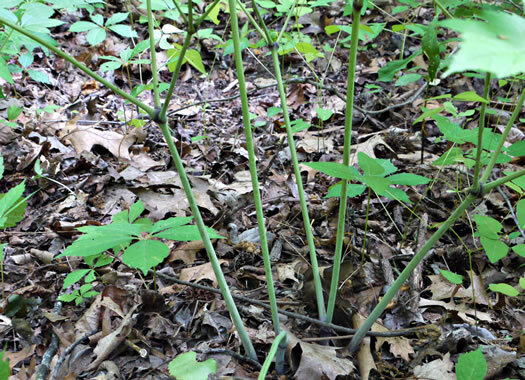 Flower stalks 3-8' tall w tassel-like flowers in long narrow arching racemes, per Wildflowers & Plant Communities of the Southern Appalachian Mountains and Piedmont. 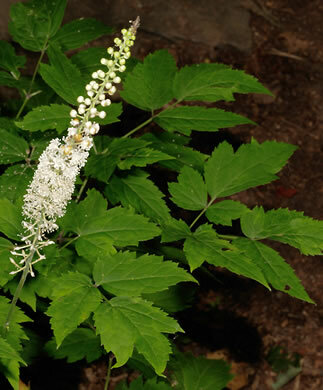 The petals are absent, but the flowers have numerous showy white stamens, per Wildflowers of Tennessee, the Ohio Valley, and the Southern Appalachians. 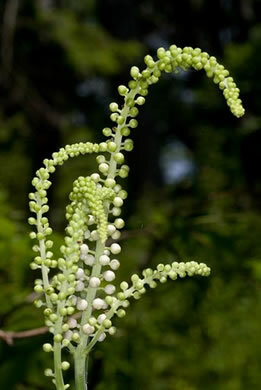 Follicles 5-8mm long, 4-5mm broad, broadly ellipsoid, pubescent, per Vascular Flora of the Carolinas. 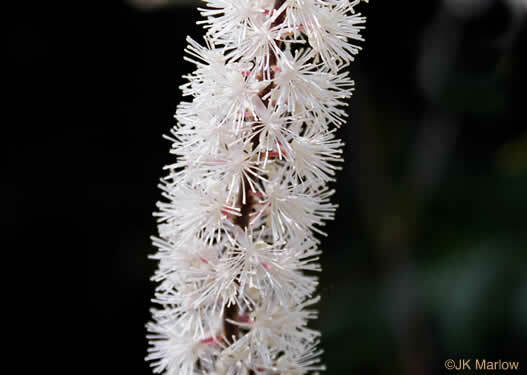 The numerous stamens give the long narrow inflorescence its fuzzy appearance, per Wildflowers & Plant Communities of the Southern Appalachian Mountains and Piedmont. 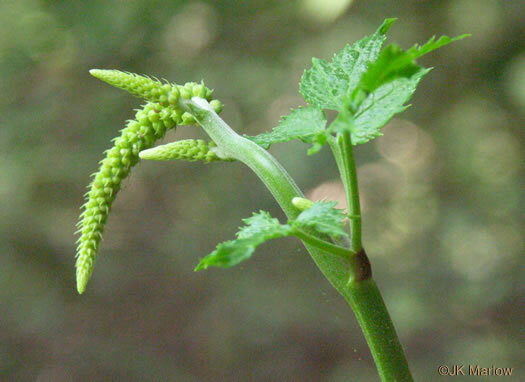 The sepals fall off as the flower opens, per Wildflowers & Plant Communities of the Southern Appalachian Mountains and Piedmont. 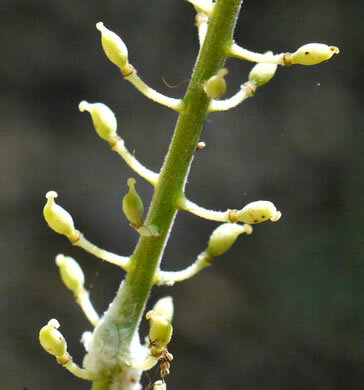 Petiole of basal leaves terete, not grooved (or with an early shallow groove), per Weakley's Flora.